This adorable, fun and quirky ceramic, wall mountable Zebra head is what’s missing from your bedroom, hallway and living room walls. In the crown of the Zebra you’ll find a hole, perfect for adding feathers, flowers or greenery giving it an extra feel of a genuine jungle and wildlife décor or simply leave as a decorative wall feature. If you’re looking for a perfect gift for an animal lover, then this unusual but impressive Zebra head could be just what you’re looking for. 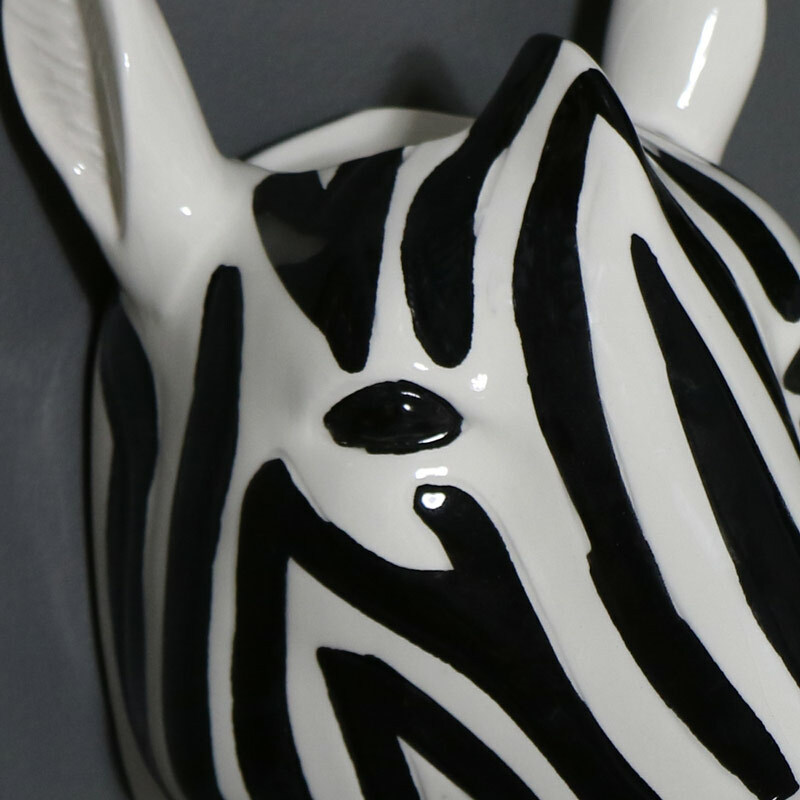 This adorable, fun and quirky ceramic, wall mountable Zebra head is what’s missing from your bedroom, hallway and living room walls. 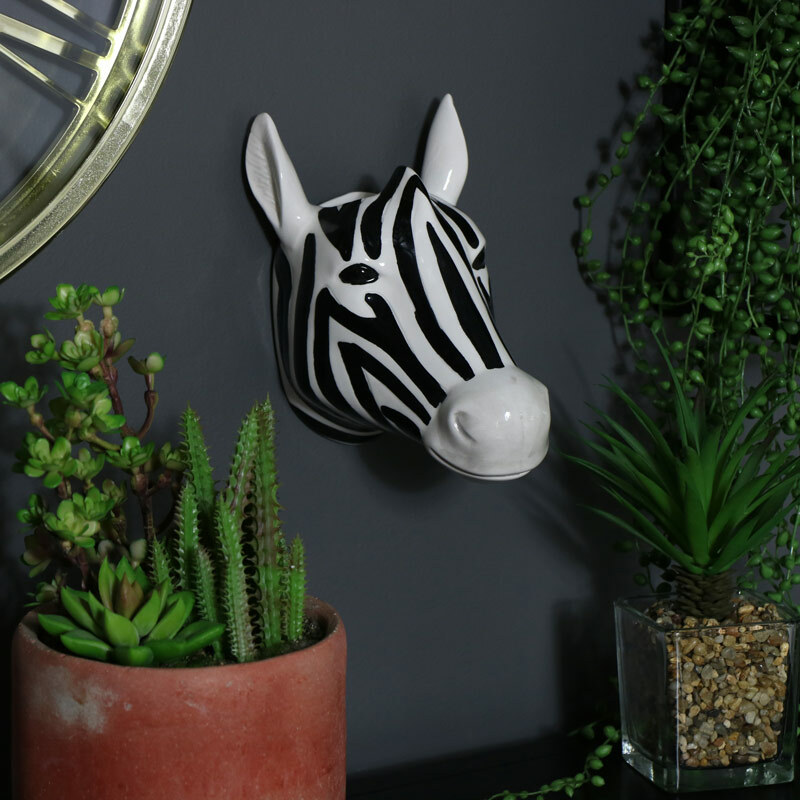 In the crown of the Zebra you’ll find a hole, perfect for adding feathers, flowers or greenery giving it an extra feel of a genuine jungle and wildlife décor or simply leave as a decorative wall feature. If you’re looking for a perfect gift for an animal lover, then this unusual but impressive Zebra head could be just what you’re looking for. A hole has been placed into the back of the Zebra making it easy to hang on the wall. With a large range of animal, tropical and jungle decor we have the perfect gifts to meet any type of decor.